This week I had a new student arrive in my science room. He had an amazingly unique name one representative of our Native American culture here in Wisconsin. so I asked him if he was Native American and his reply was, "No, I am HoChunk." I shared with him that he was in fact a first American and a little bit of what that meant. It made me start to think about heritage. My future son in law is Cherokee and with this little boy's statement it made me realize that many of our youth often may have no clue where their ancestors came from or even what a tradition is. I know it might even seem funny for the science teacher to try to figure out ways to even add it in her classroom, but sometimes learning about one's self and who we are and even where we came from allows for our students to make valuable connections in any classroom. This week marked the start of the Chinese New Year, the year of the dog. I teach an enrichment group of 16 fourth and fifth graders so it made me think how can I connect the two with reading, math, and a bit of STEM? We sat in a circle, a bit of restorative practice and community building...and I began asking them what a tradition was. I shared the definition and then proceeded to share some of our family favorites. We have a pickle on our tree and if you find the pickle you get an extra gift. We tie dye t-shirts each fourth of July, we still have an Easter Egg Hunt, we play Christmas Bingo for prizes every year, and we on birthdays set out their favorite ice cream, drink, candy bar, and gum and decorate the table area in the morning when my kids wake up. We talked about holidays can have traditions as well as cultures. I gave them time to think and then we shared. 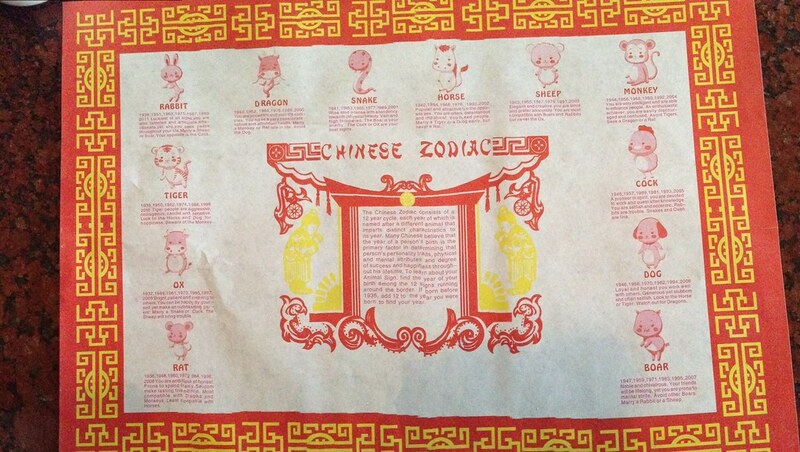 I then started to share about the Chinese New Year and what you might see on a placement at a Chinese Restaurant. We looked at the mat and figured out what year they were born in and what animal represents them. We also looked at what traits that they are suppose to possess. We then were able to pick what Chinese New Year Activity they wanted to do...Chinese dragon puppet, Fortune Coin Purse, or Pagoda Structure. As we worked on our projects, I continued the discussion. This is where the magic happened...I asked our Hmong students what color clan they came from...One of them said White ...and another replied he didn't know. She went on to ask him to say mom...which he said, "mom"...she asked him to say mom in Hmong and she told him he was also white because of how he said it! We listened to traditional music while we worked and I shared a Dragon Dance on the Smartboard. Another student asked me where I came from and I told them all that I was English, Scottish from the Narrn Clan, Bohemian and Austrian. They asked me about my clan. This my friends, is what it is all about...making connections with our students. That day, we not only made amazing pagodas, coin purses, and dragon puppets, but we learned about Quinceaneras (when one of our students turns 15 she will have a special party as a rite of passage), special foods such as Pho everyone eats at holiday time, the Hmong New Year and how it is similar to the Chinese New Year in dance and outfits, our zodiac sign to just name a few! We must take opportunities to learn about our students and to let them interact and share. We can learn so much about each other and build a sense of community where our students can build bonds and friendships! Looking for a four STEM ideas ready to go? 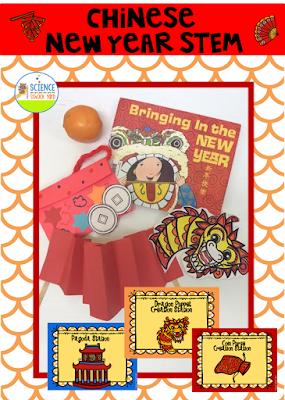 From puppets to coin purses, pagodas, and fire crackers this pack is sure to get your learners talking and connecting! Find the STEM Chinese New Year Pack HERE! How do you connect with your students? Do you have any classroom traditions? I would love to hear them. Leave me your amazing ideas in the comment section below!